On Earth Day, April 22, 2015, Animal Friends Croatia will launch a new project named Veganopolis. We invited citizens to join us from 11 AM on Trg bana Jelacica in Zagreb, where information booths, mobile kitchen and an interesting guide into the world of sustainable diet will be set up for the occasion. It is imperative that we stop the destruction of the only planet we have, and changing your diet is the most efficient solution for environmental protection. Through the Veganopolis Project we want to demonstrate how changing our habits contributes to the reduction of global warming, rainforest destruction, pesticide use, air, water and soil pollution and exploitation of natural resources, thus alleviating world hunger and malnutrition. 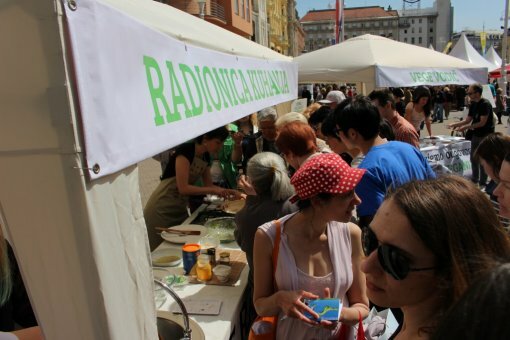 Veggie Guide, an on-line database of vegan products on the Croatian market with a list of products, their ingredients and average price. Products such as plant milk, yogurt, cheese, salami, spreads, cooking cream, chocolate and many other will be searchable by category and name. Veggie Guide will be presented by Sara Mesin, AFC's volunteer. Veggie Challenge, a 30 day challenge which will provide applicants with free vegan recipes and interesting facts for a month, is a great incentive for change. Veggie Challenge will be presented by Ivana Basic, a long-term vegan. Vegan Buddy is a personal guide offering support and advice for vegan shopping, cooking and many other life situations for those who have decided to become vegan or accept the Veggie Challenge. The Vegan Buddy service will be presented by a seasoned vegan, Vedran Romac. 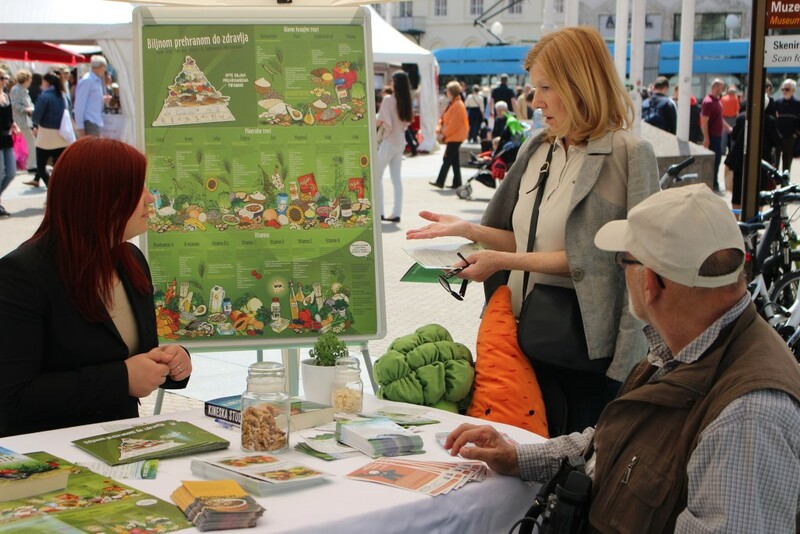 Nutritional Counseling, a support enabling citizens to ask questions or seek advice on the plant-based diet, is an effective way to get a detailed answer for an expert. 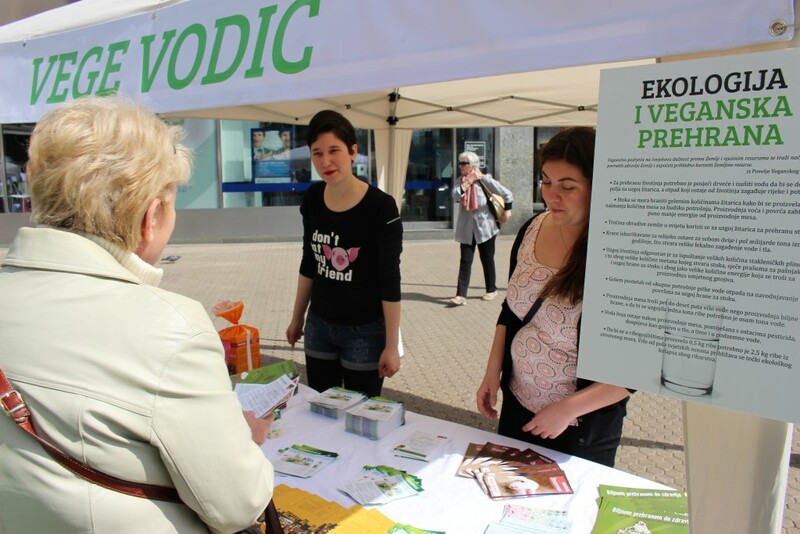 Citizens' questions on vegan nutrition will be answered by our professional associate Ivana Simic, MS Nutrition. 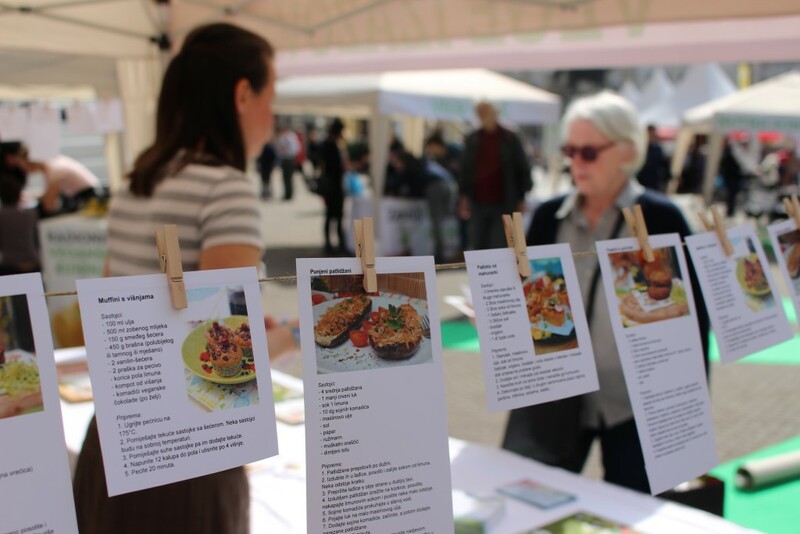 Cooking workshops are a great incentive to learn how easy it is to prepare healthy and delicious vegan meals. Cooking with others also provides opportunities to socialize. 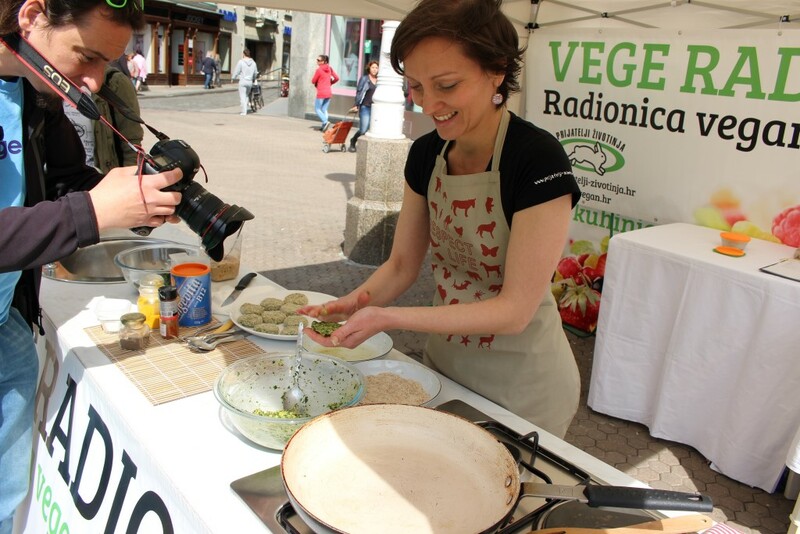 Cooking School Manager Nikolina Plenar will introduce the workshops by presenting simple meals. 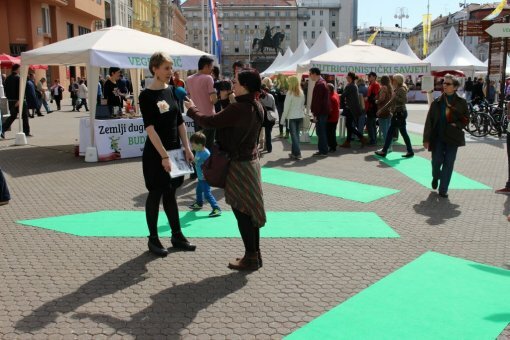 The website www.veganopolis.net also offers a list of veg(etari)an restaurants and cafes in Croatia and a blog. 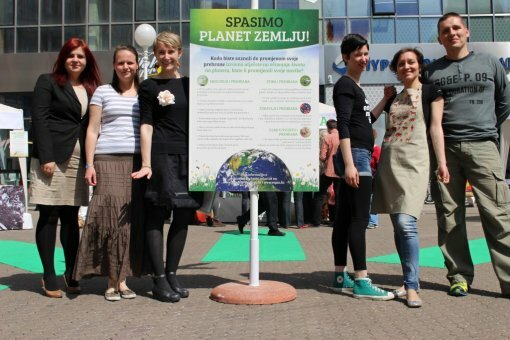 "Spend the Earth Day strolling through Veganopolis, a unique city of sustainable eating. 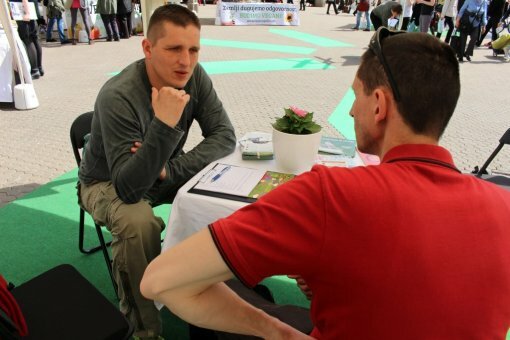 Try a freshly grilled patty, sit and have a cozy chat with your vegan friend, learn from experts which foods contain vitamins or protein, accept the 30 day Veggie Challenge and browse the Veggie Guide. Let your gift to the Earth be the decision to contribute to her preservation through your diet," appealed Vanda Petanjek, the leader of the Veganopolis Project. Animal Friends Croatia invites you to celebrate Earth Day and save all denizens of our common home. 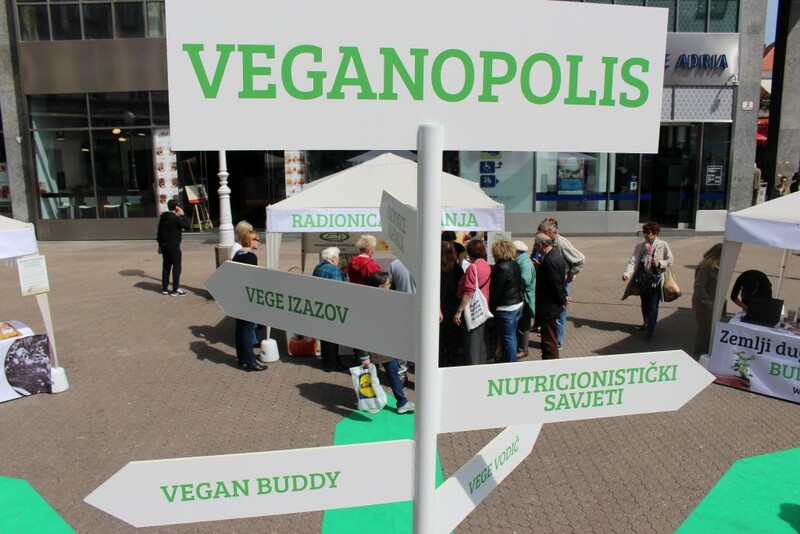 Beside the direct presentations and cooking, citizens will be able to receive an informative brochure about Veganopolis and tasty plant-based recipes, because the solution is simple and easily attainable. The event is an incentive to visit the new website at www.veganopolis.net, which in an interesting way presents options which can improve not only our health, but the health of the Planet. Animal Friends Croatia wish to thank the bio&bio eco-products stores for donating products for presentation of Veganopolis and Zale Design Studio for visual design.